I finished my baktus. Do I like it? Yes, I do. I really, really do. It's super snuggly as a scarf but I'm also thinking of the summer and those long alfresco suppers when the sun has dipped and there's a slight chill in the air. In fact, I'm making another one in cornflower blue. As I mentioned before, I used this pattern as my guide, three balls of Debbie Bliss Baby Cashmerino in 'apple' and a 5mm hook. I'm quite a tight crocheter so using a smaller hook wouldn't have resulted in enough drape as the whole thing is worked in double crochet (US single crochet). I doubled crocheted all around the edge, then gave it a gentle hand wash and a jolly good blocking before adding the simple pink trim. Truly gorgeous Heather, and not at all surprised you have no 2 all lined up already. The colours are just perfect together. 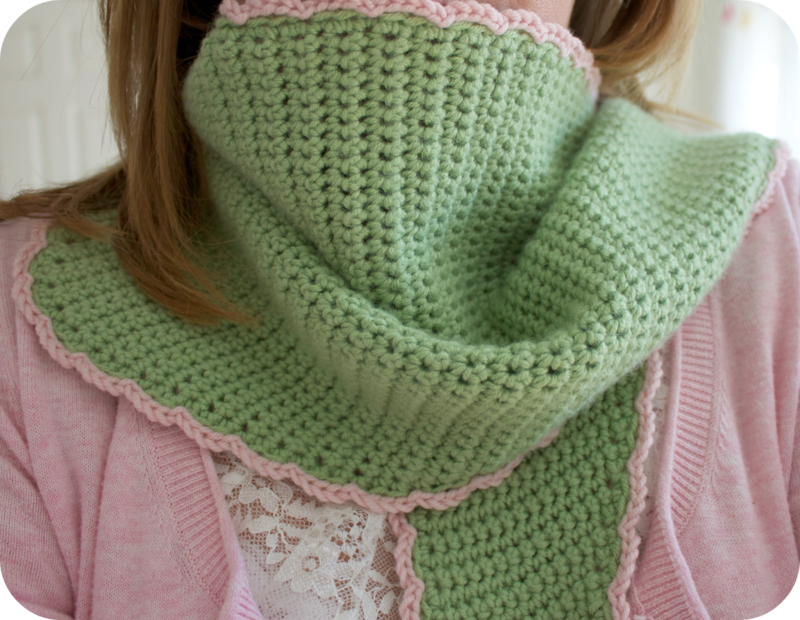 It's lovely Heather, I really like this versatile make. The green is gorgeous and the blue is going to look stunning too, look forward to seeing no. 2 finished. Enjoy the rest of your week. It's truly gorgeous Heather. I love the pink and green together, so pretty. I'm sure your blue one will be equally beautiful. 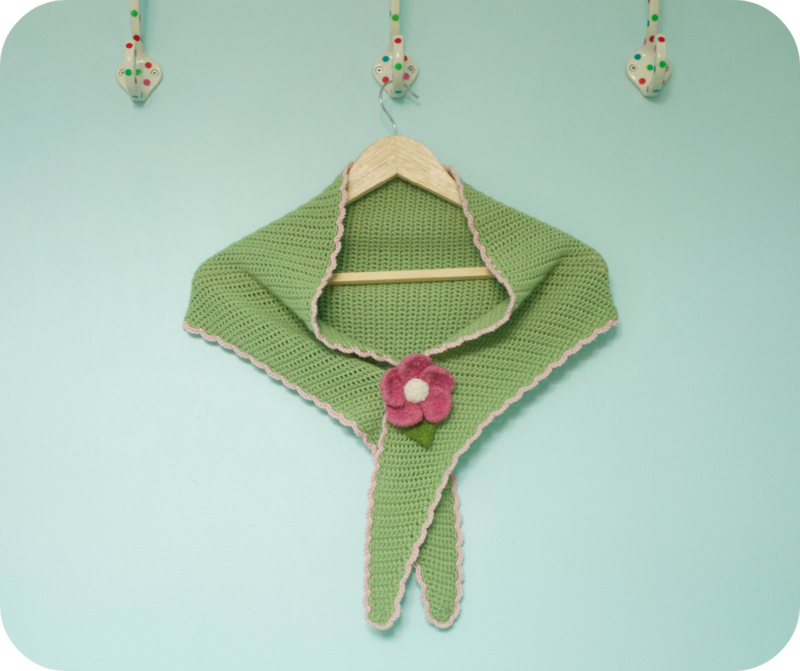 Really sweet shawl. I love your color picks. Correction, its blue friend ... my apostrophes are out of control here! I am in awe of anyone who has time to do anything, my lovely!! I love this so much! clever girl. Your crochet is so neat and I love the colour. Must go, it's 9.30pm and I must take the princess to bed now. stupid iPad stopped me posting more. x x x x x. It's lovely Heather! I love the colour, and the pretty pin trim is just the perfect contrast. You're right- perfect for summer evenings. And the blue is really gorgeous. Ooh, how pretty Heather!...I love the colours and this is one of my favourite yarns so I'm just imagining how beautiful and soft it must feel....definitely perfect for summer evenings....It seems such a long time since we've had those evenings in the garden, doesn't it?...It's so cold here today! Oh this is just lovely. I love the green one but can't wait to see the blue one. 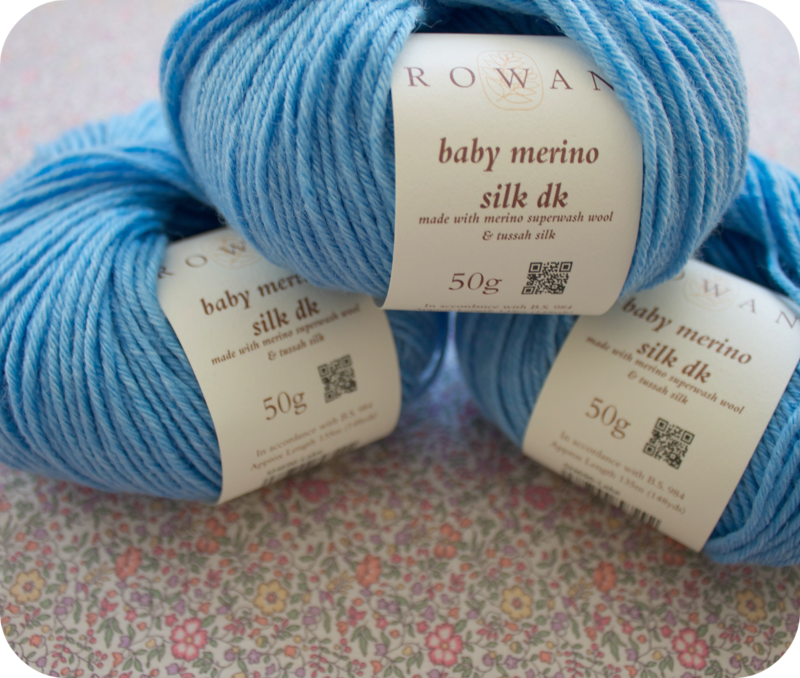 And what colour you choose for the edging on the blue one.